Jivianne T. Lee MD is an Associate Professor in the Department of Head and Neck Surgery at the UCLA David Geffen School of Medicine. She is fellowship trained in complex sinus and endoscopic cranial base surgery, and specializes in minimally invasive surgical techniques for treatment of sinonasal and skull base disease. Dr. Lee obtained her Doctorate of Medicine degree from the University of California, Los Angeles School of Medicine in 1998 where she graduated with distinction and was inducted into the Alpha Omega Alpha Honor Medical Society. Subsequently, she completed her Otolaryngology - Head & Neck Surgery residency at UCLA Medical Center from 1998-2004. Because of her special interest in sinonasal disorders, she proceeded to do a Rhinology & Endoscopic Skull Base Surgery subspecialty fellowship under David W. Kennedy, M.D., James N. Palmer, M.D., Alexander G. Chiu, M.D., and Noam Cohen, M.D., Ph.D. at the University of Pennsylvania from 2004-2005. Dr. Kennedy was responsible for pioneering Endoscopic Sinus Surgery in the United States. 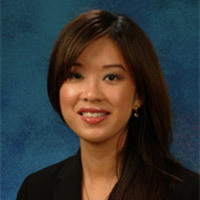 On a national level, Dr. Lee holds multiple leadership positions in her specialty. She was elected to the Board of Directors of the American Rhinologic Society in 2014 and is currently Associate Editor of Sinonasal Disorders for Otolaryngology-Head & Neck Surgery, the official journal of the American Academy of Otolaryngology-Head & Neck Surgery Foundation. She was also recently appointed to the International Outreach Task Force of the American Rhinologic Society and is a Founding Member of the United States Women in Rhinology Council. In addition, Dr. Lee serves on the Editorial Boards for the American Journal of Rhinology & Allergy and the International Forum of Allergy & Rhinology - the official journal of the American Rhinologic Society. Dr. Lee has been invited to lecture both nationally and internationally on endoscopic surgical approaches to sinonasal/skull base pathology and novel therapies for chronic sinusitis. She has given over 230 instructional course lectures, panels, and scientific presentations, as well as authored over 50 peer-reviewed articles and textbook chapters. Dr. Lee was bestowed an Honor Award by the American Academy of Otolaryngology-Head & Neck Surgery Foundation in 2014, and received an AAO-HNSF Excellence Award for Distinguished Service in Rhinology & Allergy Education in 2016. A paranasal sinus tumor is a cancer that has grown inside your sinuses, the open spaces behind your nose. This tumor can begin in the cells of the membranes, bones, or nerves that line the area. The sooner you get a diagnosis and start treatment, the better your chances of beating the cancer are likely to be. Acute bacterial rhinosinusitis (ABRS) is an infection of both your nasal cavity and sinuses. It is caused by bacteria. Here's what you need to know about this condition. Allergic rhinitis can happen on a seasonal basis or year-round. There is often a family history of allergic rhinitis, eczema, asthma, or food allergy. Read on to learn details about treating and managing this condition. Smell and taste disorders may include loss of smell or taste or reduced ability to smell or taste. This can be caused by certain underlying conditions or illness, medicines, and dental problems. Some people are born with these disorders. Lee JT. Paradigm Shifts in the Medical and Surgical Management of Rhinologic and Allergic Disease. American Journal of Rhinology and Allergy 2016; Nov;30(6): 377-8. Varshney R and Lee JT. Topical Therapies for Chronic Rhinosinusitis. Expert Opinion In Drug Delivery 2017 Feb;14(2):257-271. doi: 10.1080/ 17425247.2016.1214563. Varshney R and Lee JT. New Innovations in Office-Based Rhinology. Current Opinion In Otolaryngology Head and Neck Surgery 2016; Feb; 24(1): 3-9. Lee JT, Frank DN, and Ramakrishnan VR. Microbiome of the Paranasal Sinuses American Journal of Rhinology and Allergy 2016; Jan; 30(1): 3-16. Janisiewicz AM, Klau MH, Keschner DB, Lehmer RR, Venkat KV, Medhekar SS, Chang PK, Badran K, Leary R, Garg R, Nguyen AA, and Lee JT. Higher Anti-neutrophil Cytoplasmic Antibody (C-ANCA) Titers are Associated with Increased Overall Healthcare Use in Patients with Sinonasal Manifestations of Granulomatosis with Polyangiitis (GPA). American Journal of Rhinology and Allergy 2015 May; 29(3): 202-206. Lee JT. Pathogenesis and management of rhinologic and allergic airway pathology. American Journal of Rhinology and Allergy 2015 Mar-Apr; 29(2): 88-89. Janisiewicz AM and Lee JT. In-office Use of a Steroid-Eluting Implant for Maintenance of Frontal Ostial Patency Following Revision Sinus Surgery. Allergy and Rhinology 2015 Jan; 6(1): 68-75. Lee JT, Escobar O, Anouseyan R, Janisiewicz AM, Eivers E, Blackwell KE, Keschner DB, Garg R, and Porter E. Assessment of Epithelial Innate Anti-microbial Factors in Sinus Tissue from Patients with and without Chronic Rhinosinusitis. International Forum of Allergy and Rhinology 2014 Nov; 4(11): 893-900. Lee JT. Maximal medical management of chronic rhinosinusitis: In: Palmer JN and Chiu AG, editors. Atlas of Endoscopic Sinus and Skull Base Surgery. Pennsylvania: Elsevier Saunders. 2013; 47-63. Lee JT. Operative rhinology. In: Brown S, Pollock K, Setzen M, and Tabaee A, editors. The Essential Guide to Coding in Otolaryngology: Coding, Billing, and Practice Management. California: Plural Publishing. 2016; 241-254. Lee JT and Chiu AG. Role of topical sinonasal irrigation in sinus disease. In: Lalwani A and Pfister M., editors. Recent Advances in Otolaryngology-Head and Neck Surgery. Fourth Edition, New Delhi: Jaypee Brothers Medical Publishers. In press.